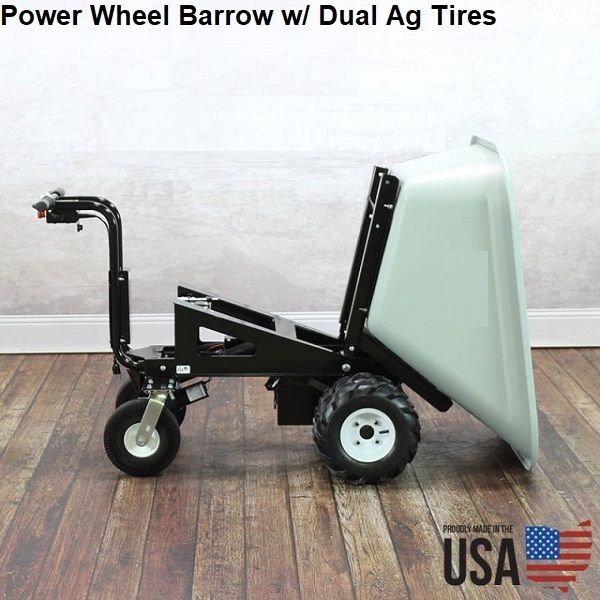 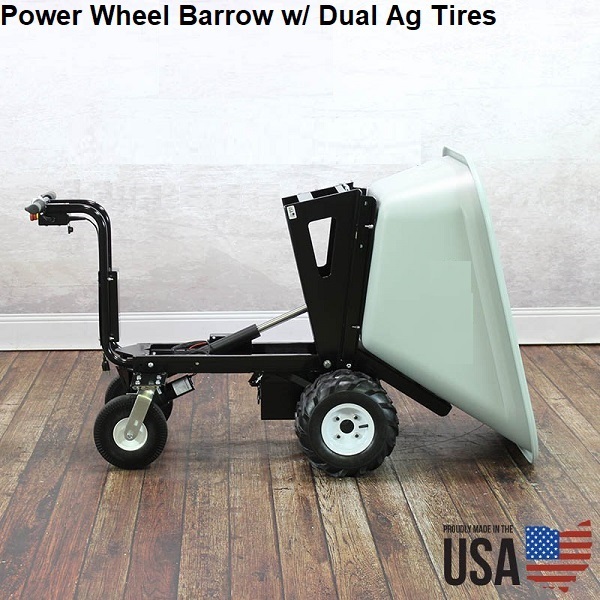 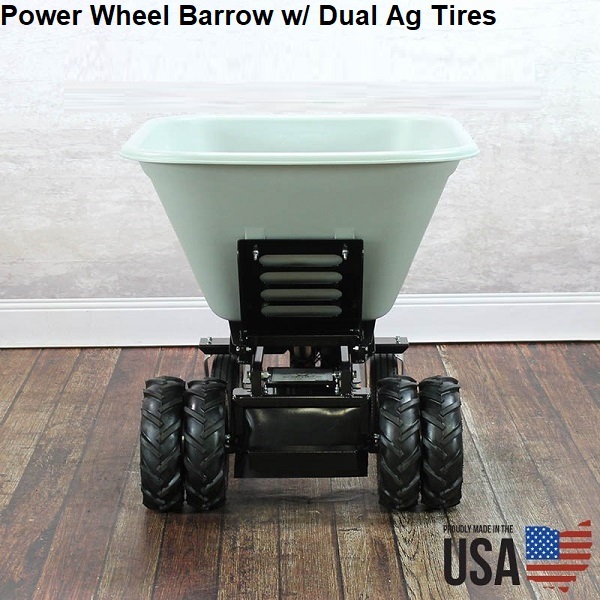 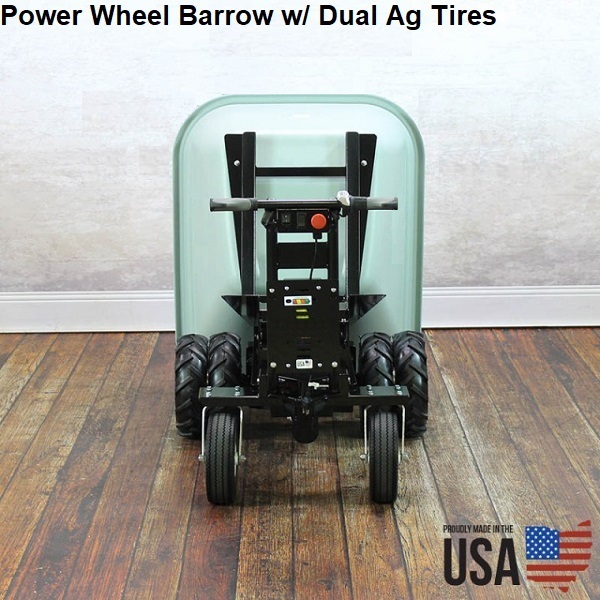 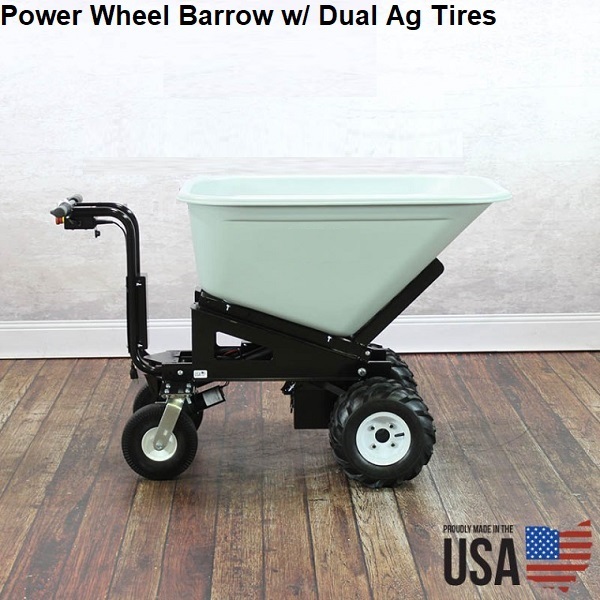 This 10 cubic foot Power Wheel Barrow features a two (2) wheel power drive and dumping capable of holding up to 750 lbs worth of load at leveled ground and 500 lbs on slopes. 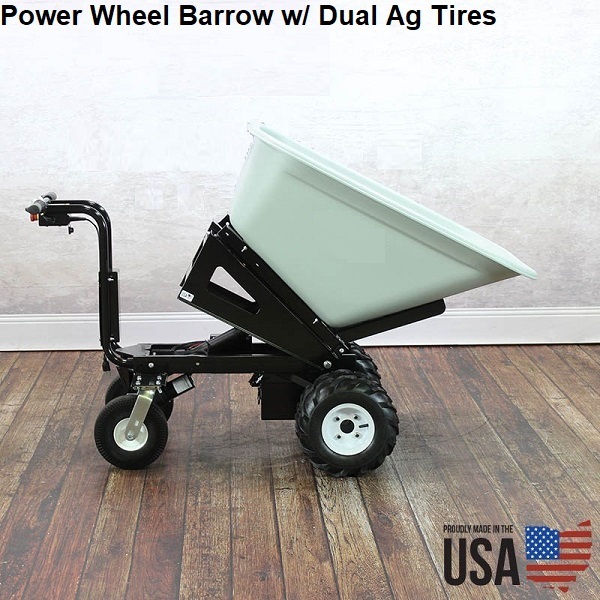 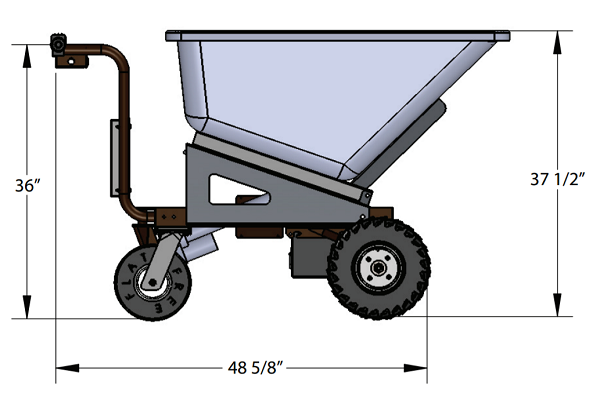 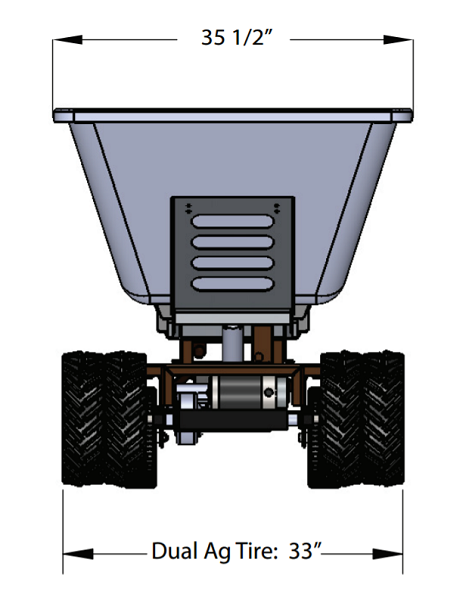 This Power Dump and Drive Cart is perfect for farms, landscaping, nurseries, parks, and backyard improvements. 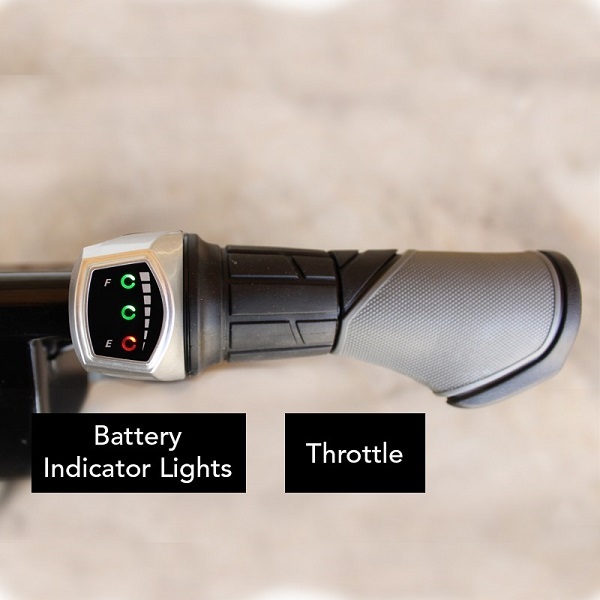 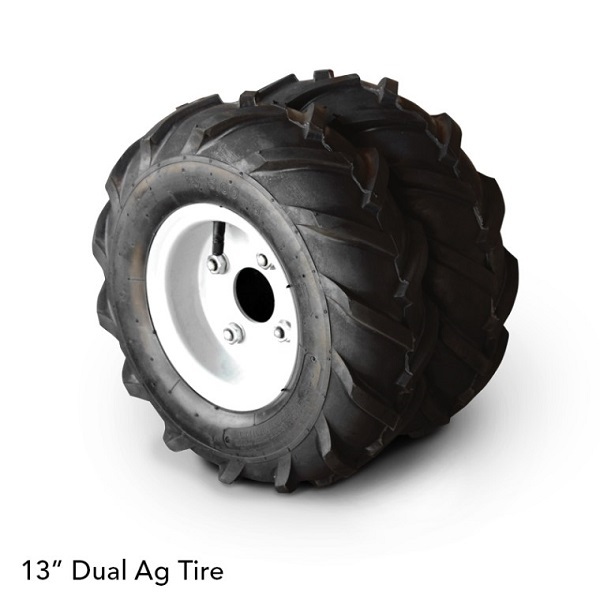 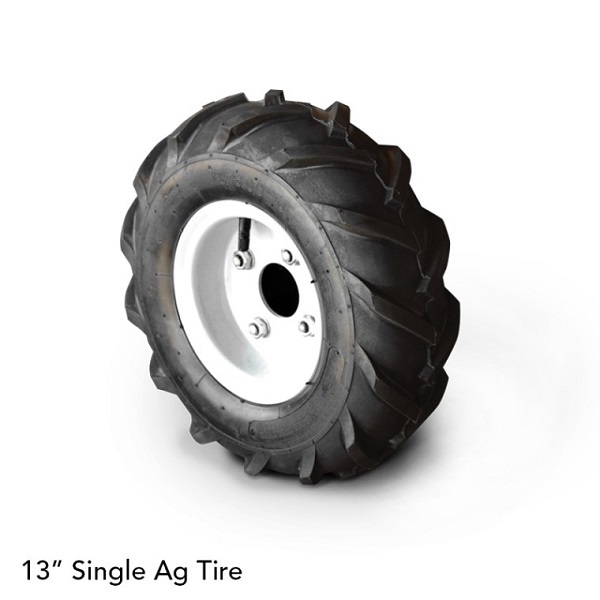 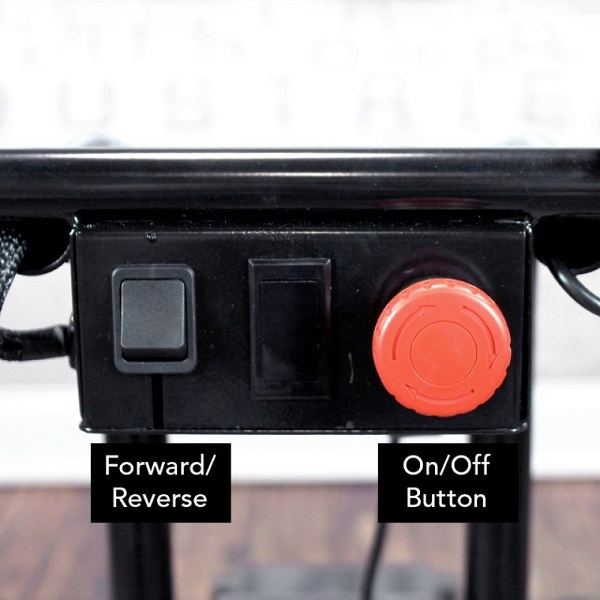 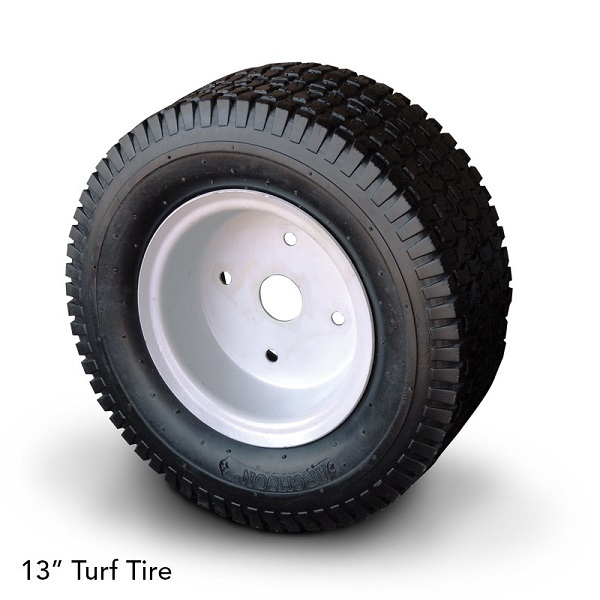 The big 13" all terrain tires ensure a smooth ride even over rough surfaces. 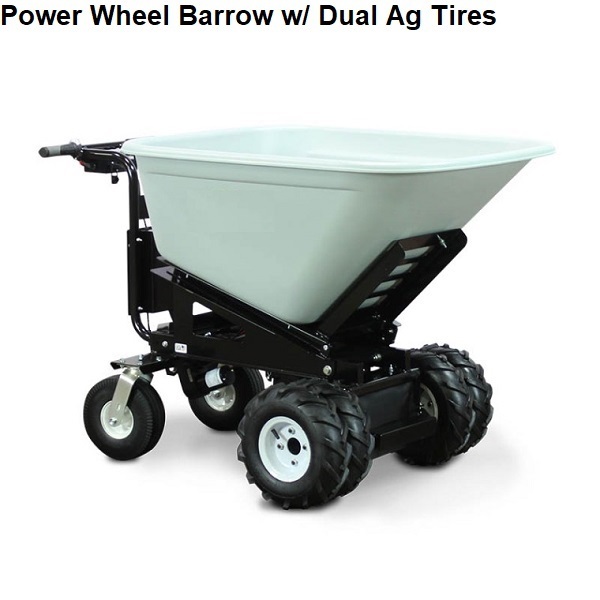 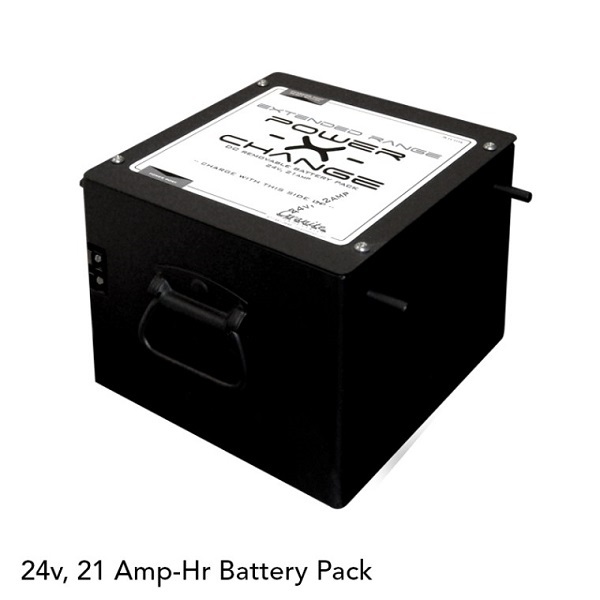 Comes with an oversized 10 cubic foot dump tray.